What you need to know about DJs for Lovers owners and DJs Alex Verno and Michael Murphy. 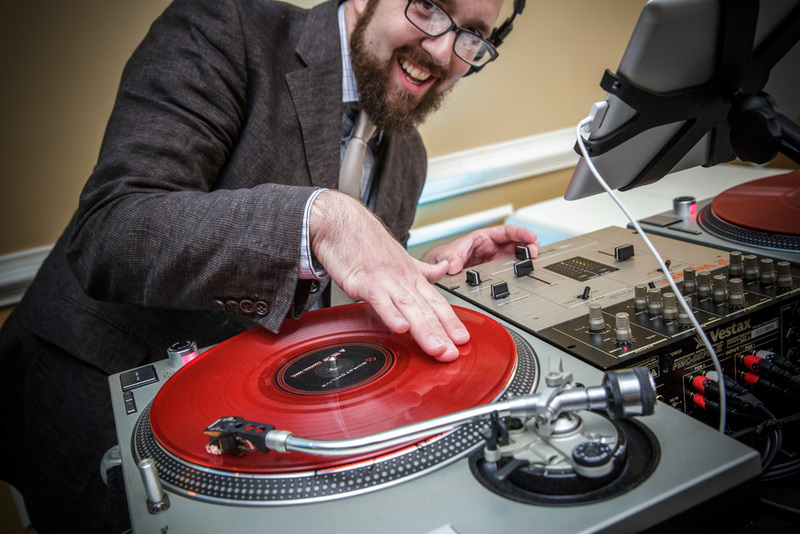 Our experience and expertise in proving DJ services for weddings in Richmond, Williamsburg and Charlottesville, Virgina. DJs for Lovers is owned and operated by DJs Alex Verno and Michael Murphy. We have a wide range of DJ experience. We have DJed everything from weddings and private parties to club nights and radio shows. We work throughout the Richmond Metro Area as well as Charlottesville and Williamsburg. Our business is focused on weddings and we have built up considerable experience DJing weddings and parties of all kinds. DJs for Lovers brings this experience and skill to the planning of every wedding and event. We understand that your wedding will likely be the biggest party you ever host. We help couples set up a schedule that will keep the reception flowing smoothly and will bring guests out onto the dance floor. Contact us today to learn more about our experience and service. Wow! That is exactly what I think when I think of my wedding and dj mike! He was amazing with the music and managing the whole evening. He did the timeline exactly how we discussed and was keeping everyone on track. Plus the music he played was awesome and on point! I think every person was dancing at some point during the night and I received a lot of compliments. Dj mike was also great with keeping in touch and was great to work with! I had a very tight budget and he was willing to work with us and that was really great! I highly recommend his services!